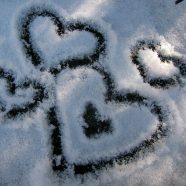 Let’s hope Mother Nature shows some love by supplying snow, or we’ll be strolling instead of snowshoeing. We supply the snowshoes, you supply the love! Join our naturalist for a fun alternative to a box of chocolates. Discover all of the beauty that the Sanctuary offers at night, then have a seat around the campfire with yummy s’mores and hot cocoa. Bring any special someone in your life: significant other, best friend, grandchild – a night for all. Price is per couple, please register just one partner.